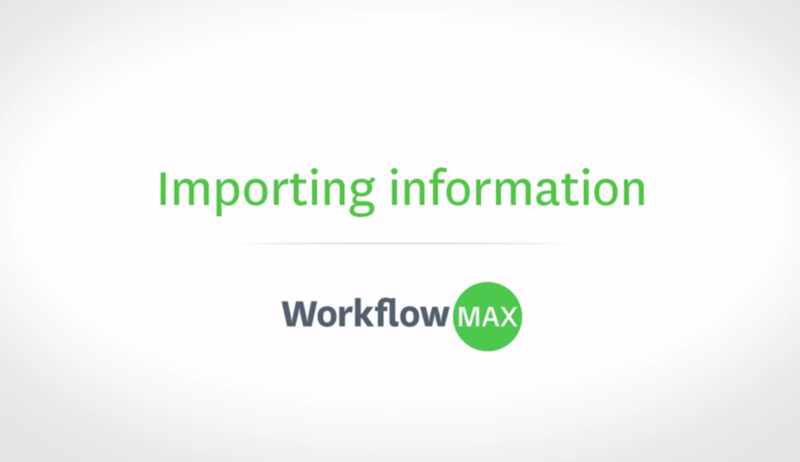 Whether you’re just getting set up, or if you’re well under way using WorkflowMax but you need to update a whole lot of data, the import function makes this process a lot less painful than you might expect it to be! If you need to bring in bulk loads of client details, contacts, suppliers, jobs, various costs, payments or any other information, we’ve put together this short video tutorial with all the tips and tricks for a successful import. It takes you through the steps to using the templates provided by WorkflowMax, as well as how to create your own txt or csv files to import your data in one easy hit! Want to learn more hacks for using WorkflowMax more efficiently? Check out the awesome range of helpful tutorial videos on WorkflowMax TV!